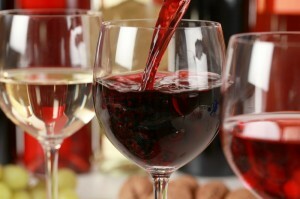 Treat yourself and someone special to a day of bliss touring the wine country surrounding Monterey! Our Chauffeured Wine Tour Package includes wine tasting at four of the best Carmel Valley wineries, plus lunch at one of our favorite local restaurants. Our guests rave about this popular package! “This wine tour made my trip!” ~ Allison C.
To Book: Choose your favorite room for 2 nights from our online availability calendar then click “Book Now.” Choose the “Chauffeured Wine Tour Package” in the next step and complete your reservation, and enter promo code with credit card information in the final step. Package price will be included in quoted rate. We will contact you to confirm reservation details. driver will arrive at 10:45 am to whisk you off to Carmel Valley for the day’s adventure! You will enjoy VIP tasting at four Carmel Valley wineries with a break for lunch midway at either Café Rustica or Corkscrew Café – two local favorites! Your driver will return you home to Old Monterey Inn at approximately 3:45 pm, just in time for complimentary evening wine & hors d’oeuvers at the Inn! The winery boasts breathtaking vistas of the lush green valley surrounded by the majestic Carmel Valley Mountains. 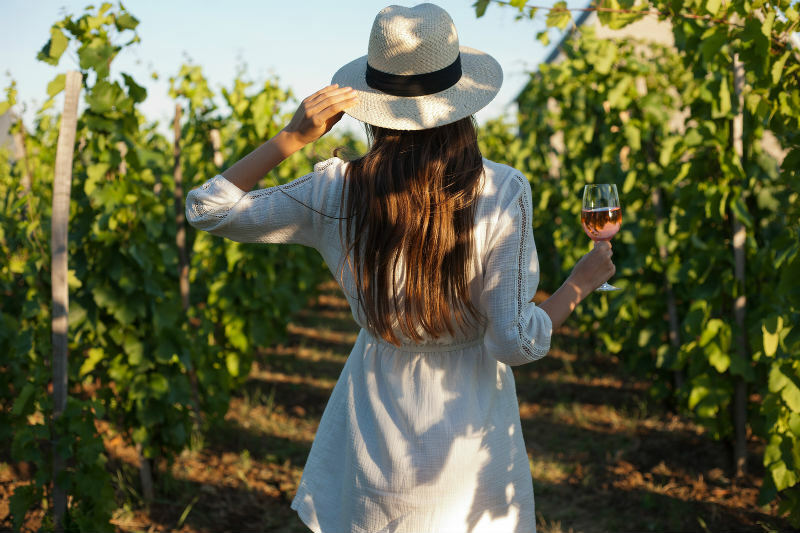 The vineyard is highlighted throughout the seasons – from the breaking buds of spring to summer’s lush leaf canopy and the abundant grape cluster display of fall. The 120 acres of Cabernet Sauvignon, Merlot, Cabernet Franc, Chardonnay, Chenin Blanc and Pinot Noir are planted at an altitude of 1200 – 1500 feet, producing rich, luscious grapes, which result in outstanding premium wines. 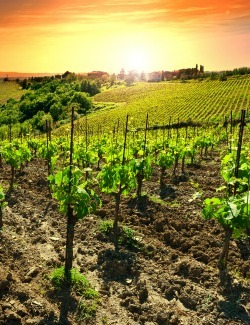 The vineyards are certified 100% organic. Owner Ben Pon appreciates wine as an art – a form of art that transcends the ordinary. His dream is to make a red wine equal to the finest from Bordeaux. At Bernardus the textural element-“the mouth feel’-is the most important expression of wine. The south facing slope acts as a natural heat sink providing moderate heat for an extended growing season and perfect ripening. The focus is not on high yields, but the health and maintenance of every vine. The vineyard is harvested as each section is ready, ensuring powerful flavors from physiologically ripe fruit. *Valid for stays from June 1 to July 31, 2014. This offer cannot be combined with other promotion or discounts and is not available during holidays and special event periods. Subject to availability, no third party gift certificates, must book directly with the Inn; online or by phone. Taxes not included, all other Inn policies apply. Wineries and restaurants subject to change.